Shopee App Store – How The Shopee App Work | Download Shoppe App: Looking for a guide on what Shopee App Store entails? This post is all about the comprehensive tips on what Shopee app store is all about and how to download it. 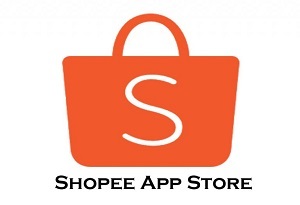 The Shopee app store is one of Asia’s leading online marketplace. Just launched in 2015 it is already a revelation competing with the likes of tokopedia, carousel, and others. It is a Singapore based online market company. With this Shopee app store, users can conveniently buy stuff using their smartphones and devices. It was launched and available in southeast Asian nations such as Thailand, Vietnam, Singapore, Malaysia, Indonesia, Taiwan, and the Philippines. This very online market app is targeted to repair the short comings of its competitors. Unlike other online market platforms the Shopee online market provides its own secure payment option and it’s called the Shopee guarantee. Here is how it works, because I know that you might be wondering how this is possible by now. If you have made use of other online market places you will notice that a payment option is being integrated with other external financial platforms. But with Shopee the buyer of an items fund goes into a separate bank account that is held and operated by Shopee. And these funds are only released to the seller on the grounds of safe passage of goods and items. Another shortcoming hat this online market place target is Shopee partnership with Singapore’s ecommerce startup called the NinjaVan. This is for the easy pickup and delivery of items around the city. You know in other online marketplaces the buyer and the seller have to negotiate on shipping and delivery between themselves. This Shopee app has a facebook lookalike news feed where buyers and sellers or users, in general, get to follow each other more like a social media. The platform has features like trending sellers, sharing options, recommendations and so much more. I have discussed in bulk how this app platform works, but I will still continue to let you know more in a thing or two. This app allows users to create shops on the platform. It also lets users upload items for sale. If you are in south eastern Asia and you are a retailer this is a good online market platform for you to use. The platform as of now charges no fee for listing for items on the platform. The platform will likely get money through ads. To download the Shopee app is very easy. You do not need any form of expertise to do this. You can get the app from your devices app store. That is it on Shopee App Store – How The Shopee App Work | Download Shoppe App.